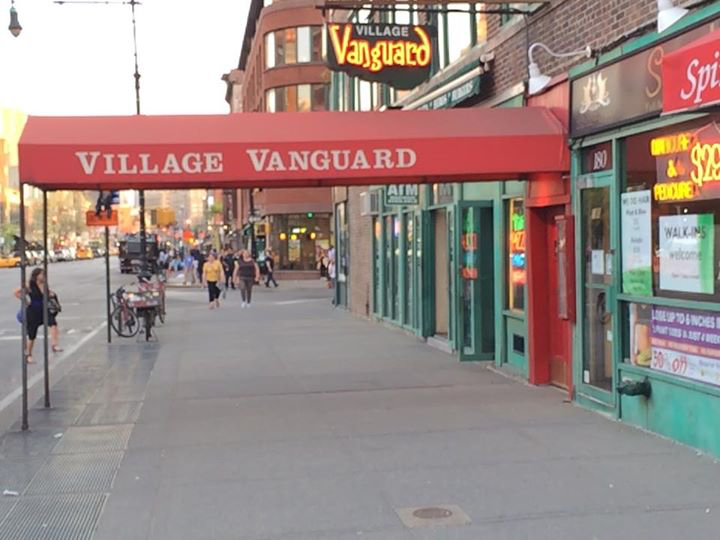 On May 4th, I walked through the doors of the Village Vanguard with Scott LaFaro’s bass in hand. Why is that a big deal? I guess we all have our ideas about what matters in live. We all have our personal journeys to make, and along with those journeys comes our own views of what is monumental. For some people, life landmarks may have been scoring the winning touchdown in the Super Bowl or becoming the CEO of a successful company. For me, it was playing LaFaro’s bass on the very stage that he recorded Waltz for Debby and Sunday at the Village Vanguard 53 years earlier. 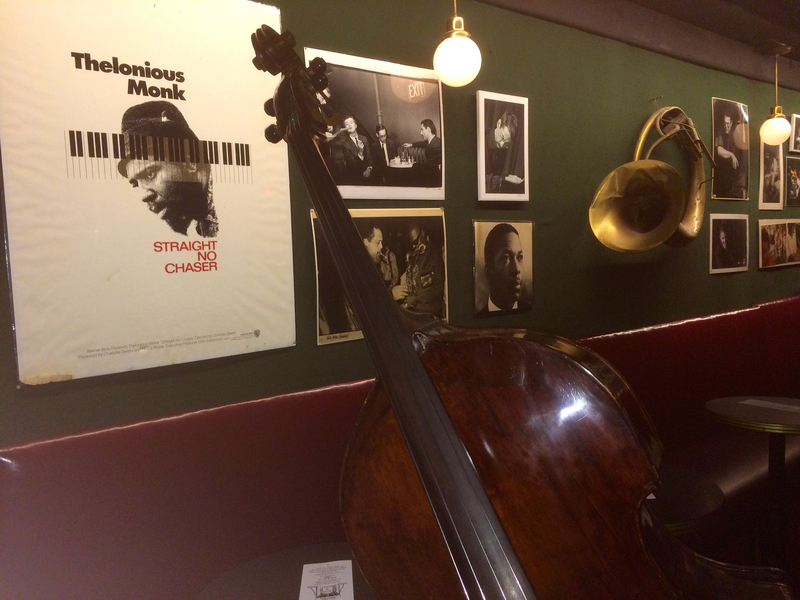 I came to the acoustic bass and jazz later than most, around the age of eighteen. Sometime in the summer before I started college (The Dana School of Music at Youngstown State University), I ventured up to a record store in Cleveland to buy some jazz records (yes, actual vinyl LPs!!). Of course, being new to the genre, I had NO idea what I was looking for. I knew some names- Bird, Dizzy, Buddy Rich, Maynard Ferguson, but that was about it. Thankfully that day a future friend of mine, trumpet player (and college radio jazz DJ) Mike Kamuf, happened to be sifting though the bins. Someone made an introduction, and before I knew it Mike was leaning over to me with two LPs in his hands. He said, “You’re a bass player? Then you need these two records.” You know which two records he handed me. And so it goes. My exposure to LaFaro is predominately from the Vanguard session. Of course I’ve studied his playing from other bands and recordings, but to me, the tone I have in my head that says “LaFaro” is the sound from the Vanguard. 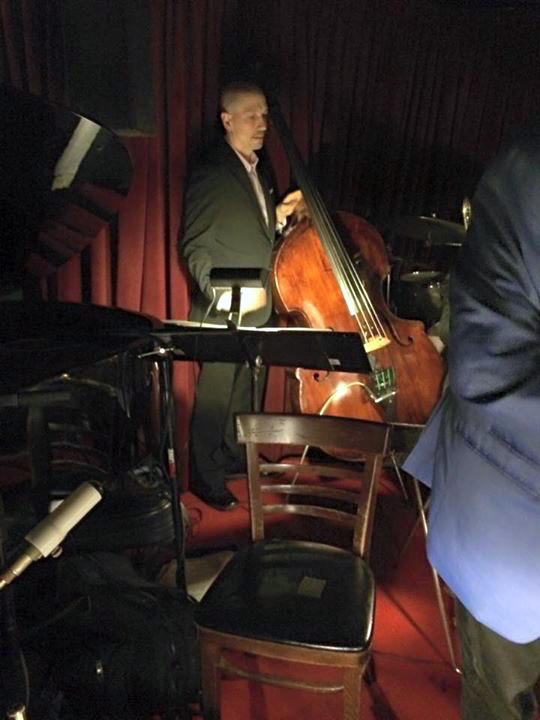 As soon as I knew that I was going to have his 1825 Prescott bass in my hands for an extended period of time, I immediately began plotting how to get his bass back on the stage at the Vanguard. Lucky for me, I know a guy. 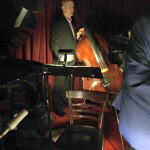 I’ve been performing with the Vanguard Jazz Orchestra since about 2001. At first, I subbed for the late Dennis Irwin, then later as a regular (recording the Grammy winning Monday Night Live). When I knew that LaFaro’s bass was going to have an extended holiday with me, I called up John Mosca, the lead trombonist and official “call the rhythm section subs” officer for the VJO. All I said was, “I have Scott LaFaro’s bass. Let me know when you need a bass sub!” Soon enough I got the green light for May 4th and 11th. On the Vanguard stage with Scotty’s bass! 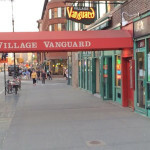 Maybe it’s not such a big deal, but at 6 PM on May 4, 2015, I savored the moment of squeezing through those uneven, bridge-wrecking, death-trap double doors to carefully descend the steep stairwell into the legendary Village Vanguard. The last time the bass had made that journey, it was in Scott’s hands on Sunday June 25, 1961. I always show up for the Vanguard band early to get in position and get my sound straight, but on May 4, I got there especially early so that I could play the bass on an empty stage, in an empty club, and have the moment all to myself. 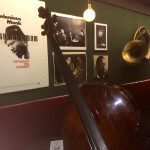 As you probably know by now, I had extended visits with LaFaro’s bass before. If I may be bold, I can say that besides Scott himself, I am the person with the most experience and knowledge of the sound of that bass in a live situation. On past occasions that I’ve had the instrument (RE: Person I Knew), I would begin to hear “the sound” that I was familiar with on recordings, only to have to give it back before the bass could fully open up. This time, due to the extended time (about six months), I got closer to that sound than ever. However, nothing prepared me for playing that bass on THAT stage. It was perfect timing. The bass had completely wakened up after months of playing. When I began to play, it was once again LaFaro’s bass. The first thing that I played was the walk down from the C to the low G, a la Solar. There it was, that G! Then I played a bunch of harmonics to tune up. Once again, it was THAT sound. The real moment for me was playing Scotty’s solo from Gloria’s Step. I’ve been captivated with that song and bass solo since my first listening as an eighteen-year-old student. Playing that solo on the Vanguard stage was a moment I will never forget. Okay, sure, I was there that night with a big band and not a piano trio. Luckily for me, the music of the Vanguard Jazz Orchestra, with the historic background of being the Thad Jones-Mel Lewis Big Band, has a style that largely includes the concept of the small group within the big group. This means that there are a whole lot of extended piano trio intros and interludes for me to really get the Vanguard experience with the bass. Check out the photo in the top center. I gave John Mosca a ride home after the gig. He had a bit of LaFaro insight that I never knew about. John was a member of a band back when Thad and Mel were still alive and running the show. Apparently, Thad really dug LaFaro. As John put it, “Thad had a great respect for LaFaro’s playing. Once he heard what LaFaro could do on a bass, he realized that there was a new sonic opportunity for his compositions.” If you are familiar with Thad’s writing at all, then you know that Thad really writes some virtuosic parts for the bass. This has been a very surreal experience for me. If someone would have told me back when I was eighteen that I would someday be given the opportunity to bring Scott LaFaro’s bass back to the Vanguard, I would have never in a million years believed it. 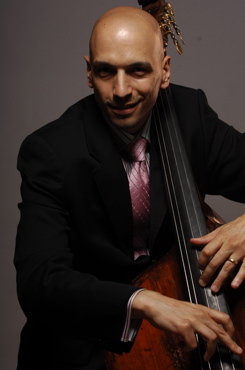 Thank you Helene LaFaro-Fernandez, Barrie Kolstein, and the International Society of Bassists for extended visitation rights! !